Declan Donnelly has spent years resenting his family’s wild reputation. 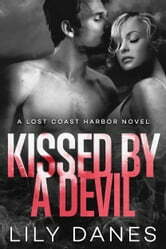 He’s now a respectable Lost Coast Harbor businessman—but the mild-mannered bookstore owner is hiding devilish desires. When Declan discovers the town's delicious baker is using him to get at the Donnelly clan, the devil comes out to play. Annabel Johnson hasn’t always thought before she acts, and one bad decision forced her to take a new name, a new home, and a new job laundering money for Peter Hastings, the most dangerous man in town. Years later, Annabel and her small bakery are almost free from that burden when Hastings’ son suddenly changes the rules. To finally escape her past, Annabel must seduce the man she’s always secretly desires. Annabel and Declan have danced around each other for years…then a kiss changes everything. When outside forces and their own lies threaten to tear them apart, can they find a way to trust each other—and their own hearts?